What are top 5 recipes of fat burning cabbage soup? So what are the main advantages and disadvantages of the fat burning cabbage soup diet? What makes such tablets so effective? Why fat burning cabbage soup is useful? How to get out of the diet right? Conclusion: What are the main contradictions of the diet? Fat burning cabbage soup for weight loss is the most active participant of cabbage diet, and not only. 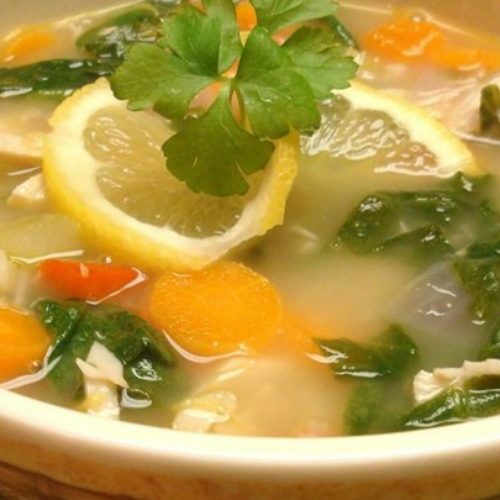 Usually, this tasty soup is included in the menu of low-calorie diets. 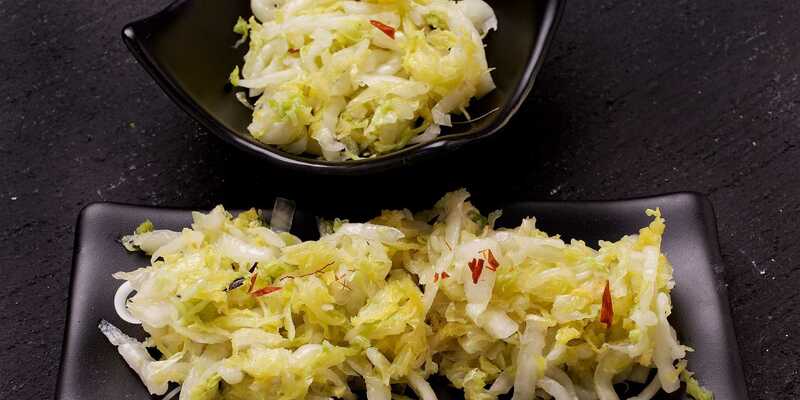 Its success and the fantastic effect is due to the main component – cabbage. It satisfies the hunger, is digested for a long time and is low-calorie. SEE ALSO: How much weight can you lose on cabbage soup diet? You should prepare the fat-burning soup without salt, as it holds up water and slows down the process of weight loss. If the soup seems untasty to you without salt, then use spices (only be careful – they increase the appetite), or a little sea salt – it is considered that it almost does not hold up water. To cook the soup, pour the prepared (cleaned, chopped) vegetables with cold water (the liquid should cover them). Bring the soup to a boil over high heat, then reduce the heat and cook until ready (cook the dish in a sealed container). At the end of cooking add seasoning and salt. The amazing taste of a simple soup and, at the same time, careful waist slimming. Pour the water in the pan, washed peas, peeled chopped potatoes there too and boil. When peas are at the stage of half-cooking, add chopped cabbage, finely chopped onion, grated carrots, spices, salt, tomato paste, vegetable oil. Cover with a lid and let it boil over. At the end of cooking add dill and laurel leaf. Cook the broth by boiling the chicken or a pair of chicken wings in 2 liters of water. Put rice and vegetables in boiling broth. Salt, pepper, add bay leaf and cook until ready (15-20 minutes). Then fry the onion in butter, constantly stirring it. Fill the onions with water, bring to a boil, add cabbage, mix, bring to a boil again, add carrots, bay leaf, pepper and salt to taste. Bring to a boil and cook until tender over low heat under the lid. Add flour to the soup, stir, bring to a boil and remove from heat. When serving, sprinkle with finely chopped dill and add a glass of lemon juice to each plate. Cut the vegetables into small or medium pieces and cover with water - boil fast for ten minutes. Cut to simmer and continue cooking until vegetables are tender. 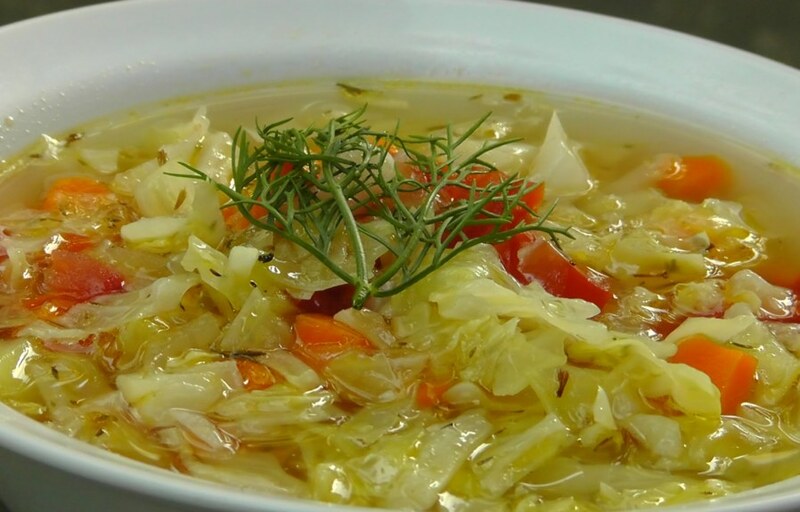 A special recipe for fat burning cabbage soup let you lose weight and savor really tasty food. Every woman, even those who do not stick to the cabbage soup diet, must know how to cook Cabbage cream soup. In boiling water (1.5-2 l) throw the chopped vegetables. While vegetables are boiling, fry in vegetable oil sliced mushrooms, green beans or cauliflower - vegetables that will not be ground into mashed potatoes. After 15 minutes, grind the contents of the saucepan by a blender. Add spices, roasted vegetables, chopped greens and boil it all together for approximately 5 minutes. Dietary and delicious soup is ready! While the preparation of dietary soup, you are allowed to use any type of cabbage: a white or red one, broccoli, cauliflower, cabbage kale, Brussels, Peking, kohlrabi, Chinese. Besides, you can cook soup from sauerkraut (not pickled). You can make the soup with one kind of cabbage as well as combine various kinds of this useful vegetable. 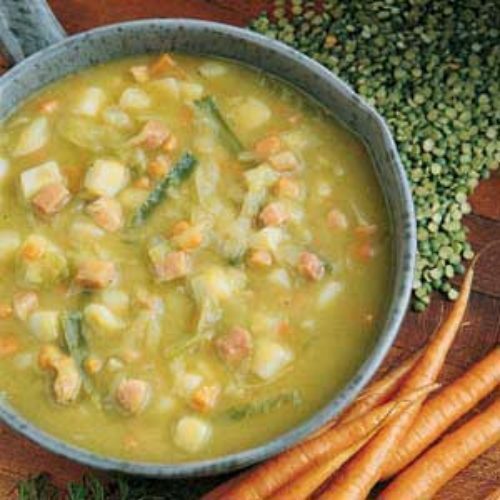 You are allowed to add any type of fresh or pickled vegetables and greens to the soup. But following one simple rule: 2/3 of the total amount of vegetables should be cabbage. The only vegetable, eating of which you should limit or completely eliminate from the menu – potatoes. For that reason that it is connected with a high-calorie content compared to other vegetables. The presence of two small potatoes in the soup increases its caloric content almost 2 times, in such a way reducing the effectiveness of a diet for weight loss. While keeping to the diet, you are allowed to drink filtered or mineral water, herbal tea without the addition of sugar. You can add lemon juice to drinks. Besides, once a day it is allowed to drink one cup of coffee without sugar. Fat burning cabbage soup is cooked in water. You can add only a little salt, add some spices. You are not allowed to add pasta, cereals, and legumes to the soup. It is not recommended to skip and break the order of meals, to replace the products out of which the diet is made. During the diet, you can eat and drink only products indicated in the menu. Vegetable oil cannot be excluded from the diet: the body needs the right fats to absorb the necessary nutrients and vitamins. 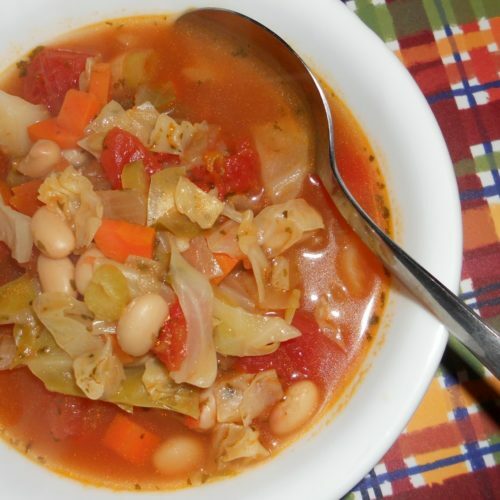 Above all you can stick to the seven-day diet on fat burning cabbage soup 1 time in 45 days. 6. You may experience dizziness, weakness, mental impairment, confusion (therefore, you should lower daily loads and use vitamin complex). This situation can happen because of a sharp decrease in glucose or some of the trace elements in the body. If you feel bad because of this diet – perhaps it is not appropriate for you. In this case look for other diets. 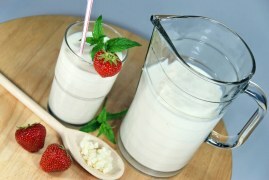 For example 7 days kefir diet for weight loss, 3-day spinach diet or top 3 variants of buckwheat diet. This fat burning cabbage soup diet is unloading so flatulence or gas formation can happen as well as dizziness or nausea due to a large number of raw vegetables and fruits. This happens because of the beginning of the cleansing process of the gut and gastrointestinal tract. There is a lot of cellulose in raw vegetables and fruits and it like a brush begins to clean and lay off accumulated slags on the walls of the organs. You should eat fat burning cabbage soup not less than five times in small portions every day of the diet. But you should not eat only cabbage. You must consume some other products. If you want to start a seven-day diet, enrich your diet with any raw fruits and vegetables, seasonal fruits will be especially useful. Also, do not eat less than 200 g of lean meat or fish every day, be sure to consume dairy products because the cabbage diet is lack of proteins, calcium. Milk and meat will successfully replace them. You can consume low-fat yogurt or sour cream, cheese. Drink up to 2 liters of liquid per day- it will help you to quickly remove the slags from the body. Most noteworthy, completely refuse for a period of a diet and another week after its end from alcoholic beverages, flour, and sweet, roasted and fatty food. Cook fat burning cabbage soup for weight loss every day so that it is always fresh. Also, it is recommended to use a large amount of water. Pay attention to other varieties of diets that are allowed simultaneously with the use of fat-burning cabbage soup diet and other products, mainly vegetables and fruits. Also, such a diet can not replace for a long time your nutrition. To achieve desirable results you must follow the recommended menu strictly. It is also important to sit one week on a fat burning cabbage soup diet, then two weeks without this diet, and then get on this diet for a week again. 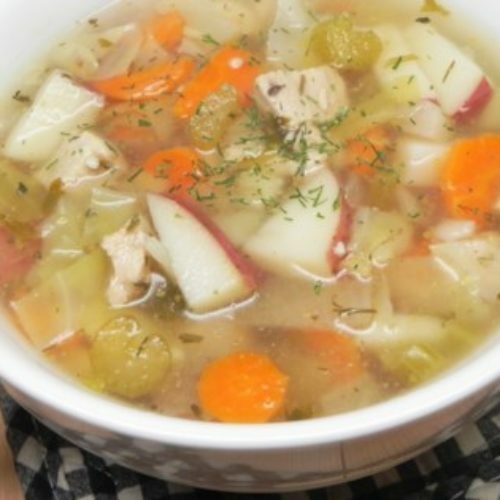 Cabbage soup for weight loss and various fruits, excluding bananas. There is a separate banana diet. 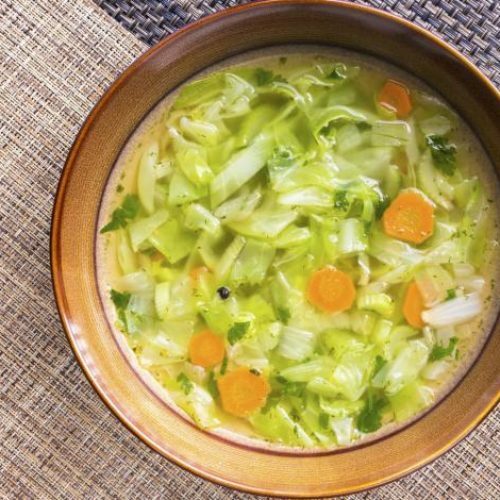 Fat burning cabbage soup with vegetables (except legumes). For dinner, you can eat potatoes with vegetable oil. Cabbage soup with vegetables and fruits (exclusions are the same). Fat burning cabbage soup with bananas (up to 1 kg) and 0.5 l of skimmed milk. Cabbage vegetable soup with boiled fish or chicken (up to 0.5 kg) and tomatoes. Cabbage soup with boiled lean meat and a large number of vegetables (except potatoes). Authorship of fat burning cabbage soup diet is still unknown. Perhaps the first recipe for cabbage soup was created by medical workers of a European clinic who, with the help of the cabbage diet, prepared patients who were seriously suffering from obesity for surgical operations. Therefore the purpose of this diet became clear – a quick and significant loss of weight for a short period. Cabbage soup, boiled unripened rice, and vegetables, fruit juice. In these days of a seven-day diet, you can eat only fat burning cabbage soup. Other dishes cannot be used these days. 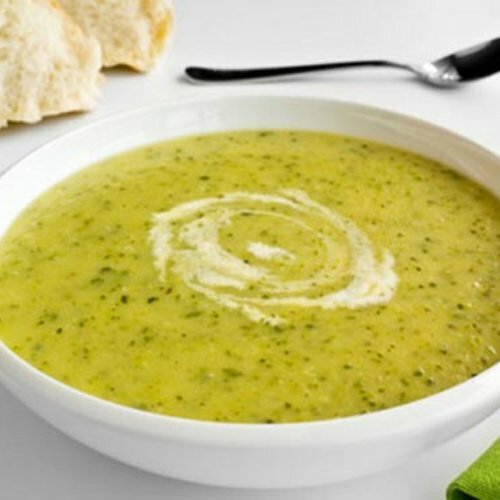 The total amount of soup (3-4 liters) should be divided into 6 meals and consumed during the day. You can drink as much water as you want, herbal tea without sugar, coffee is recommended to be turned off these days. Breakfast: A large glass of water with lemon juice and honey (one teaspoon); liquid oatmeal, cooked in water without sugar. The porridge can be slightly salted, add bran, flax seed, sesame seeds, poppy seeds, thistle syrup, a little amount of cinnamon or turmeric. Second breakfast: Mug (250-330 ml) of lemon broth, 2 rye or whole wheat bread crumbs. Dinner: 750 ml of cabbage soup. Snack: Portion of semi-acidic fresh fruits or berries without the addition of sweeteners. You can eat fresh fruits or berries, fruit salad, freshly squeezed juice, mashed potatoes, strawberries. To semi-acid fruits and berries include raspberries, strawberries, strawberries, blueberries, blueberries, currants, watermelon; apricots, peaches, plums, non-acid apples, pears, fresh figs. Supper: 750 ml of cabbage soup. Breakfast: A large glass of low-fat yogurt. Second breakfast: 750 ml of cabbage soup. Snack: Salad of fresh carrots and apples with the addition of a small number of raisins. Each of us has heard at least once in his life (and some have tried) a classic fat burning cabbage soup diet. A few of us think that this diet is a waste of time, that cabbage soup has absolutely no taste and has an unpleasant aroma, and you need to eat such meal 5-6 times a day. For such people, the fat burning cabbage soup diet is just sorrows. They know that the effect is unquestionable, but they do not know how to live these 7 days? There are the revolutionary new tablets that make the diet on cabbage soup wonderfully light and effective. Everything is very simple, there is no need to cook soup anymore – there is no terrible smell and taste! All you need is 1 tablet, which will replace 4 dishes of soup. You take one pill in the morning, one for lunch and one in the evening. And the problem is solved. Such dietary pills of cabbage extract are the same diet on fat burning cabbage soup, but in a more comfortable form. Are you ready to try them? Scientists take a natural extract of cabbage and dry it in a dehydrated form. Then the powder is compressed into tablets, like the military package their dehydrated food in the army. You do not need to be an astronaut to understand how useful dehydrated foods can be. 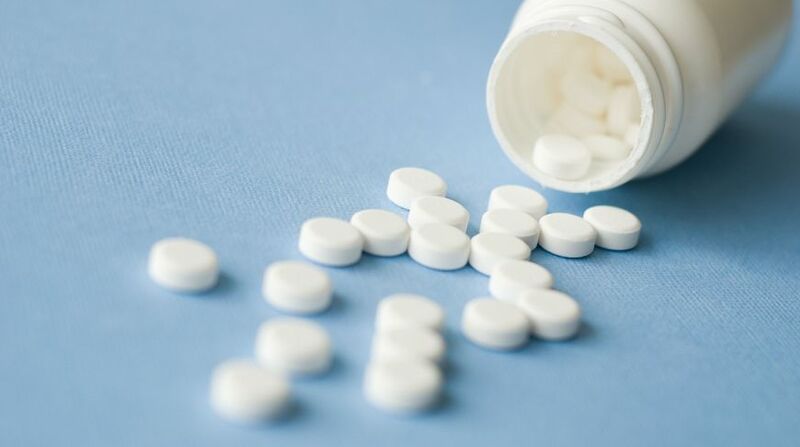 These pills are the result of the application of the use of technology adapted to reduce weight. Nowadays, these great new pills are used by a big amount of people because their effect is really surprising. Black bread – 5 – p.
Boiled Egg – 1 piece. Dietary cheese (low fat) – 3 g.
Authorship of fat burning cabbage soup diet is still unknown. Perhaps the first recipe for cabbage soup was created by medical workers of a European clinic who, with the help of the cabbage diet, prepared patients who were seriously suffering from obesity for surgical operations. Therefore the purpose of this diet became clear – a quick and significant loss of weight for a short period. Have you ever heard that there is a film called “Cabbage Soup”? It is an old French comedy and fantasy about aliens. Today there is no consensus on the emergence of the methodology and personality of the person who developed the fat burning cabbage soup diet. According to the American Dietetic Association, the diet on cabbage soup appeared in the ’50s of the last century, but according to another version, it happened much earlier. The recipe for something called Cabbage Soup actually exists, and its appearance dates back to the First World War! Although it is anticipated that American soldiers created a recipe not to lose weight, but to fight scurvy (well, you know, it is a historical disease that killed a lot of people, and it was because they suffered from a lack of vitamin C). After huge popularity in the ’50s of the fat burning cabbage soup diet, it was forgotten for some time. However, soon – in the early 80’s – it was revived. People made photocopies and handed the recipe from hand to hand, and after the 90s, there were faxes and the Internet. This diet became one of the most popular methods of weight loss. Unfortunately, my metabolism is very slow and I often have to stick to various fat-burning diets. A couple of years ago, I discovered an interesting variety of cabbage diets. I really like this vegetable and heard a lot about its benefits, so I decided to try it. Therefore, I chose a weekly diet, but I managed to go on it only for 3 days. Cabbage soups became boring quickly and I just could not stand them. The result for such a short time was pretty satisfying: lost 4 pounds! So, since that time I ate only healthy food and the weight did not return. So, I advise everyone who wants to lose weight to try to get on fat burning cabbage soup diet. I’m rather indifferent to the sweet, but I can not imagine a single day without meat and fish. 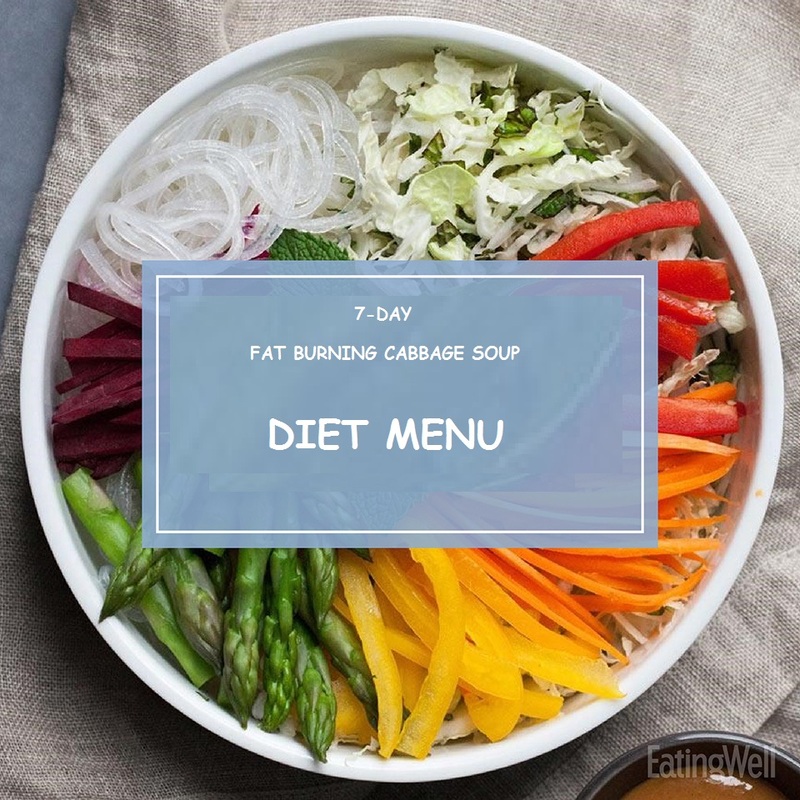 In addition, when I saw the menu of a 7-day fat burning cabbage soup diet, I immediately realized that it is perfect for me. Because it’s allowed to eat my favorite products twice a day! 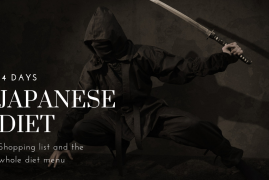 And the menu is quite diverse and includes many useful products. But when I started this fat burning soup diet, I realized that these 7 days were hard for me. I admit that sometimes I allowed myself a small “freedom” in the form of a piece of chocolate in the afternoon. However, the result is still impressive. So I managed to lose almost 5 pounds. Now cabbage vegetable soups, salads, and dietary vegetable dishes are essential elements for my food. I really like cream-soup on cauliflower with tomato paste and chanterelles. Moreover, I cook it without butter and cream so it is the easier option for weight loss. Also, it is tasty, fast, sometimes I add a couple of grams of burning pepper for sharpness. I do not like an entire cabbage vegetable soup diet, but it is the perfect variant to stay fit after holidays. If I manage to allow myself to eat harmful food, I start to go on a fat burning cabbage soup diet. It is perfect for fast and not very hard weight loss. I cook soup with onion and white cabbage, like to add Bulgarian pepper or a little number of carrots. Also i do not salt! I have them for lunch and dinner, in the morning I have breakfast with eggs or apple-beetroot salad. I try to do sports and eat properly, but I still cannot achieve a perfect body of my dreams. In order to speed up the process sometimes I cook my fat burning cabbage soup. I do not salt it, I can only sprinkle a little amount of pepper. Also, such a dish is not appropriate and tasty for anyone, but it is perfect for unloading the body. A couple of days I had a dinner of cabbage vegetable soup and lost a kilo every day. Once I managed to sit on this diet a whole week, but sometimes I added chicken to my menu. However, the only one big disadvantage of this diet is that the work of the intestine is so active. There are many varieties of cabbage and each one is useful in its own way. Besides, it contains so many vitamins, which should be the main product of our diet. In addition, among all vegetables, cabbage is one of the most low-calorie foods. For example, 100 g of white cabbage contains only 27 kcal, broccoli – 28 kcal, red caviar – 24 kcal, color – 30 kcal. If most of the vegetables in salty or leavened form are not very useful, then sauerkraut – in the process of rinse it becomes even less calorie. Savoy cabbage is a source of protein, so mainly it needs to be consumed by children because they grow up and need a lot of protein. Another useful property of Savoy cabbage is that it helps fight insomnia and colds because it contains more vitamin C than lemon and other citrus fruits. Therefore, thanks to Vitamin C, it strengthens the nervous and immune systems. Also, it contains a high amount of fiber. Savoy cabbage improves digestion. Therefore, those who stick to the diet must eat the Savoy Cabbage in different forms. Red cabbage is rich in proteins, fiber, iron, selenium, sugar, magnesium, potassium, vitamin C (twice as much as white cabbage), vitamin A, B vitamins, carotene. Besides, the phytoncides that are contained in the red cabbage do not allow the development of a tuberculosis bacillus. 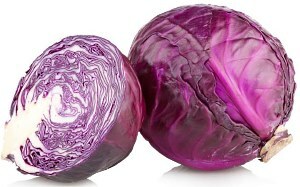 Also, an element that gives the cabbage a red-violet color – anthocyanin – increases the elasticity of capillaries, helps in the fight against cancer cells. Moreover, hypertenics are recommended to eat red cabbage because it reduces blood pressure. White cabbage – rich in fiber, vitamins B and C, phosphorus, glucose, phytoncides, potassium. It raises the acidic environment of gastric juices, controls the metabolism of fats in the body. Also, sour white cabbage can overcome dysbiosis. This cabbage will become the main helper in the fight against tuberculosis and staphylococcus. 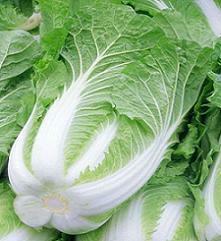 Moreover, the use of white cabbage in raw form is also very useful for the skin, especially in adolescence. Kohlrabi – helps with disorders of the digestive system, improve metabolism. 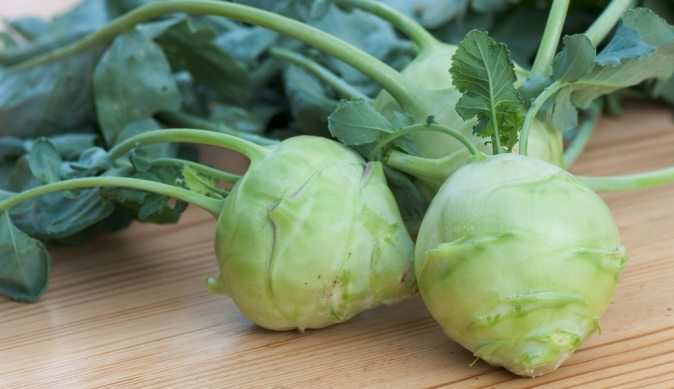 Kohlrabi is the leader in the capacity of calcium, rich in glucose and fructose. Also, this type of cabbage helps to fight cancer cells and various types of infections. Moreover, frequent use of this type of cabbage can reduce blood pressure and relieve the body of excess cholesterol. 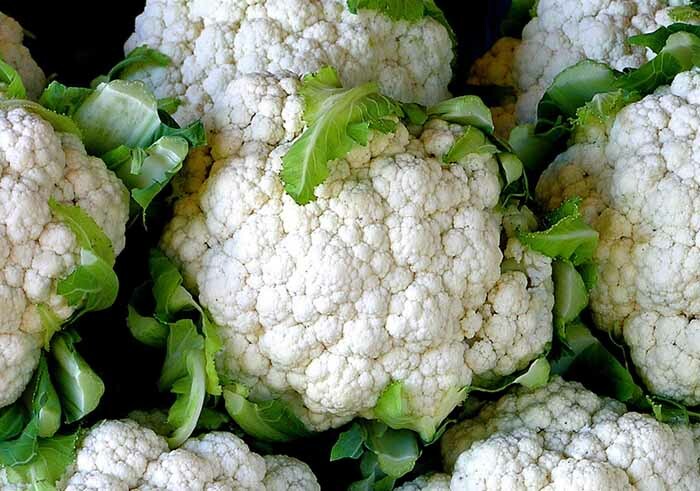 Cauliflower – has a positive effect on the nervous system because it contains vitamin B. Also it has a lot of potassium, magnesium, phosphorus, iron, pectin, contains malic acid and citric acid. Besides, cauliflower is a universal pill because it helps with diseases of the cardiovascular, endocrine, immune, muscular systems, as well as restores and improves metabolic processes. Another useful property of cauliflower is the ability to treat long wounds. Napa cabbage – contains vitamin C and folic acid. Very well digested. Besides, it is recommended to use it for people who suffer from diabetes because it is low-calorie and can lower the level of sugar in the blood. Also, napa cabbage can be used from insomnia and its juice – from diseases of the gastrointestinal tract. In addition, napa cabbage is able to calm headaches. 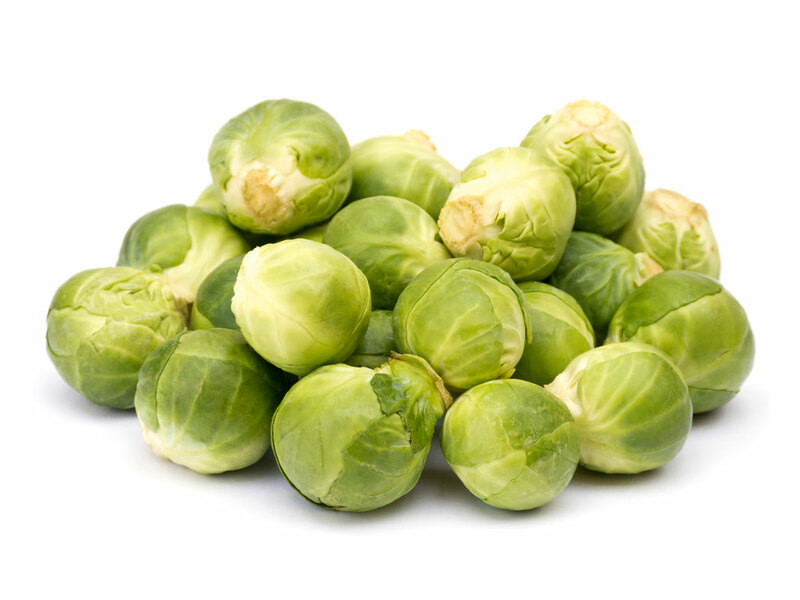 Brussels sprouts – contains vitamins B, C, PP, potassium, sodium, iron, iodine, folic acid, carotene, and vegetable protein. Brussels sprouts are useful for those with a weak immune system, problems with digestion while dieting (in a boiled form, feeding the stomach well). In addition to this it is able to strengthen the muscular system and the walls of blood vessels, normalizes blood pressure. Thanks to its low-calorie content, it helps to reduce weight, a very popular product in the field of nutrition. 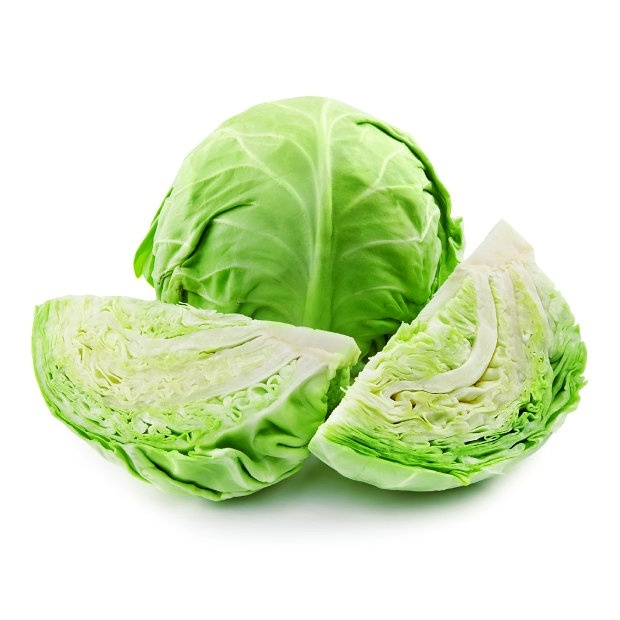 For the reason that cabbage, in general, contains a lot of dietary fiber, it helps to release the body from slags. Cellulose – is one of the important conditions for the existence of healthy intestinal microflora. These microorganisms are necessary for strong immunity, vitamins, hormones, and amino acids. This diet is unloading so flatulence or gas formation can happen as well as dizziness or nausea due to a large number of raw vegetables and fruits. The reason of it is the beginning of the cleansing process of the gut and gastrointestinal tract. There is a lot of cellulose in raw vegetables and fruits and it like a brush begins to clean and lay off accumulated slags on the walls of the organs. Furthermore, sticking to this effective weight loss diet you must completely exclude all sweets, alcoholic and carbonated drinks from your menu. Also, you can drink green tea without sugar and a big amount of water. The person must think many times whether he is ready for such hard and short-term diet or not. Eating fat burning cabbage soup for weight loss during the prescribed period, of course, let you lose excess weight. However, you cannot all the time stick to this diet, because it does not contain the necessary number of calories for normal functioning of your body. Even more, there is no guarantee that the new weight will be the same when you return to a normal diet. It is important and complicated to follow a fat burning cabbage soup diet, and it is necessary to get out of it properly. Also, this should happen rationally. Therefore, the best diets are therapeutic diets that do not harm the body. And, if you follow all principles of the diet, your weight will be the same and will not increase. But you must lose weight gradually and slowly come out of the low-calorie diet. Finally, you can achieve a lasting effect only by following a healthy diet and physical activity. 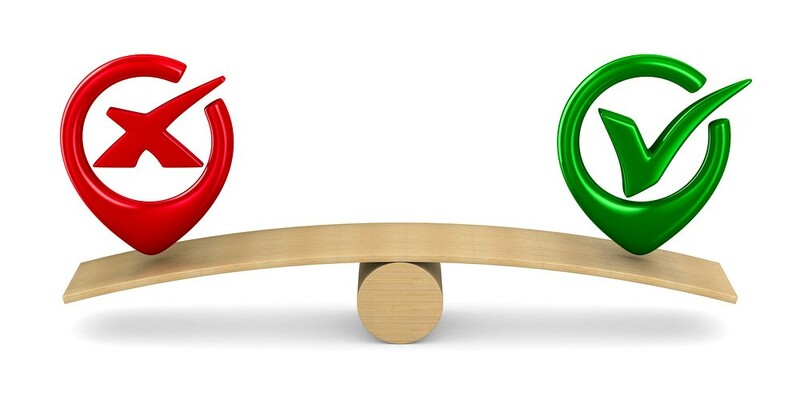 The most useful thing is to use only the right amount of calories per day: it depends on the loss or weight gain. If you gain and spend enough quantity of calories per day, you will have a normal metabolism and will forget about the effect of the yo-yo! To not gain weight after the fat burning cabbage soup diet, it is very important not to eat while watching TV or reading. Try to eat slowly, fully tune in to the process of eating. Only in this case, you will be able to feel saturated, without abusing excessive amounts of foods. The fat burning cabbage soup diet is considered one of the most simple and effective seven-day diets. Moreover, low cost and all-season availability of products that are included in the diet and a good result for weight loss in a short time make this diet incredibly popular. Despite the monotonous menu, keeping the mode is easy: all you need to lose weight is a bit of willpower and following a few simple rules. Therefore, due to the diet on a fat burning cabbage soup, you can lose weight by an average of 5 kg. Because of the diet, you clean the internal organs and accelerate the metabolism for a week. Also, the cabbage soup positively affects the condition of your skin, hair, and nails. If you stick to the principles of rational nutrition during the fat burning cabbage soup 7-day diet, there is no reciprocal weight gain for a long time after it. Remember, the popularity of diets for weight loss remains always high. And your diet plan needs to be done, following the goals you set. Your health and age significantly change the principle of choosing a diet. Besides, you will see the desired result only if your chosen diet is fully appropriate for you. 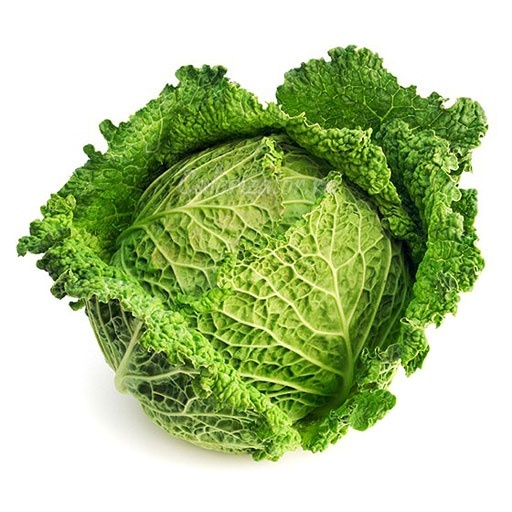 Besides, it is not recommended to follow this diet for women during lactation: all types of cabbage contain substances that provoke increased gas formation in the intestines. So your desire to lose weight after childbirth can turn into the bloating and upset stool of the baby. For whom is this diet more suitable? The fat burning cabbage soup diet is effective for two specific categories of women. 1. Those who can not spend a lot of time on some other diet. 2. Those who do not think about changing their way of life, but simply desperately want to lose a few pounds a week to get into a wedding dress, for example, without the feeling of discomfort because of excess weight. So, in case you correctly follow all the principles of the fat burning cabbage soup diet, it perfectly cleanses the internal organs and speeds up the metabolism. The use of this vegetable soup has quite a positive effect on skin, hair, and nails. Following the principles of proper nutrition after 7-day cabbage menu, you won’t gain weight again.